Anatolian cuisine has rich multicultural/multinational colours that goes back a long way for thousands of years. Especially it was during the 500 years of Ottoman rule that Turkish culinary skills were developed. Doner is one of the most preferred fast food in European countries including Germany, Holland, Austria and Turkey. Doner Kebab, the origin of the Doner Kebabs such as Greek Gyro, Arabic Shawarma has become popular around the world as a fast food during the last century. Doner, made of seasoned and marinated meat stacked in the shape of an inverted cone is turned slowly and cooked on the vertical rotisserie which was invented in the Ottoman Empire. The outer layer cooked is sliced into thin leaf/sheet. It is a preferred taste that differs from the similar ones with its texture, meat mixture, marination and production technique. 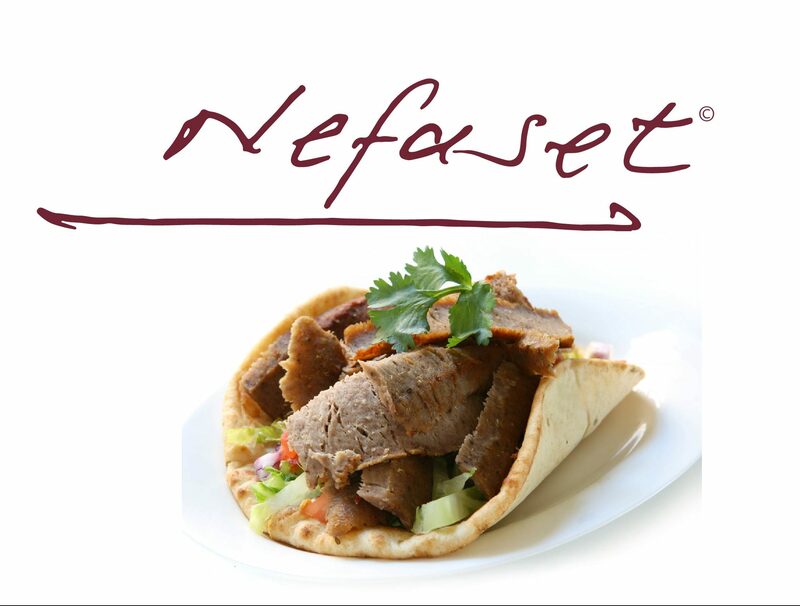 What is the difference of Nefaset Doner Kebab waiting for you? Doner Kebab differ from other gyros. The origin of Nefaset Doner’s distinctive taste is coming from its traditional preparing processes, cooking method and ingredients. In every steps of this process, our meat source selection, rating different meat mixture, marinating and seasoning before grinding, gives more perceivable gyro texture create traditional Doner Kebab slices. Doner Kebab slices have more perceivable gyro texture with coarse ground meat. We work local farmers, prefer selected livestock(cattle and lamb) and use our freshly cut meats. We traditionally use lamb and beef meat together for ideal doner mixture. Meats used to produce Doner Kebab are marinated and seasoned special blends of several spices, yogurt, onion. Our professional team leaders who have over 30 years of experience to manage all process. We use professional humane handling methods through the cutting process. We rest carcasses(meats) in cooler at least one day. Nefaset Doner’s Professional Team Leaders choose and prepare meat that will be the source of Nefaset Doner’s amazing taste, from part of carcases best fit doner. As Nefaset Doner, we procure livestock which have been brought up by local farmers in Pennsylvania and surroundings. We put livestock up and rest them for a while by applying our FSIS Compliance Guide for a Systematic Approach to the Humane Handling of Livestock Robust Plan. We work closely with reliable farmers and animal suppliers for selecting best livestock. We only select livestock are raised on grass for the majority of their lives then finished on grain for a distinctive flavour and outstanding taste. In every touch in bringing MRG meat from farm to plate, there are a dedication, love and the ideal of serving mankind for delivering top quality fresh meat. Nefaset Doner is made from our freshest cut meats from our inventory. Pre-Cooked sliced Nefaset Doner is manufactured by the latest gyro machine technology with high sensitivity laser sensors. We form 20 lbs and 40 lbs raw doner cones that are all set on a vertical rotisserie grill. Nefaset doner cones are professionally handcrafted wholly moreover we put eleven layers of sliced delicious meats of beef and lamb thin leaf/sheet every cone to double the taste. Pre-cooked and sliced doner is put in 2,5lbs packages. We can prepare optional packages for wholesale customers. We keep doner in the freezer before presented to our valued customers. Whether 20 lbs or 40.000lbs, same difference! We proud of service to our valued customers to everywhere in the United States by our vehicle fleet that can freeze reach up to -20F. Our products are packaged in branded and graded bags with the highest quality packaging materials and equipment and delivered in Nefaset branded boxes. All our processes are under FSIS, USDA inspections and our Quality Team in order to ensure consistency in our premium meat products supply. Our meats that are used to produce Nefaset Doner are all Zabiha Halal.